There is no "one size fits all" approach to training. This is why DePAW offers a variety of programs and training approaches to suit any dog/owner team. Regardless of your goals, your dog's age or your background, we have a program that can help you and your dog. Group Basic Obedience Classes :Done in a group setting, our trainer will show you how to reach your dog’s potential. These are 9 week courses and includes a lifetime FREE membership to any other group basic obedience class for refreshers for life of the dog, weekly handouts, 10% discount on any other educational workshops or training options for life of the dog, complimentary membership to DePAW Dog Training FB group for Q&A, and FREE dog socialization time after each class. Call 630.232.8663 to sign up today! Private Lessons: During these personalized sessions, our trainer will instruct you on how to create desired behavior in your dog while discouraging unwanted behavior. On – and off-site sessions available. Daily Trains/Day camp: Daily trains are a great option for people who are on the go, and want quality training for their dog. Drop your dog off in the morning and pick him up in the evening. We’ll take care of the rest. Dogs are rotated between doggie daycare (when applicable) and training. Available as single days or a 10 day long camp. 10 day program includes unlimited private lessons with you and the trainer. Boot Camp/Board and train: Our boot camp program is our premier program. The dog stays with us approximately 3 weeks and we work the dog both on and off site, creating a dog you can depend on with or without a leash! In addition to heel, sit, stay, and come; we will also address behavior issues such as begging, running away, jumping up, counter surfing, nipping, car manners, or just about anything else you’re dealing with. Our boot camp comes with a lifetime guarantee! AGILITY CLASSES: Dog agility classes have no size, breed, or age restrictions! It is a fun and energetic team sport and great exercise for dogs and owners. These are 6 week courses. Classes may not be consecutive weeks. Only $149 per person/dog. Our instructor, Emily, has over 13 years of experience in agility work with dogs, holds a degree in Zoology, and has competed in multiple levels of agility trials. Come on out and meet new people and bond with your dog while learning something fun and exciting! If you have been interested in Agility but are not sure if your dog will take to it, this is the class for you! This 6 week course will cover a selection of obstacles and move at a slow pace for those just starting out in Agility. For those who just want to test the water, have a fun way to exercise with their dog, are not interested in competition, and are interested in Agility foundation work. This class is for those who enjoyed or excelled in Agility 101: For Fun. This 6 week course will add a few of the more difficult obstacles as well as elaborate on those taught in Agility 101. Previously learned obstacles will have increased difficulty and we will be looking for more refinement. This class is for those looking to expand their Agility skills and potentially move on to competitions in the future. Call 630.232.8663, email: info@depawK9.com, or stop in to register. *** Space is limited to first 8 registrants ** Payment and vaccination records are required at the time of registration. $149/6 week course. Chad Mackin has trained or been responsible for the training of thousands of dogs over the past 20 years. He has developed a number of innovative methods and techniques that are being use widely throughout the world. 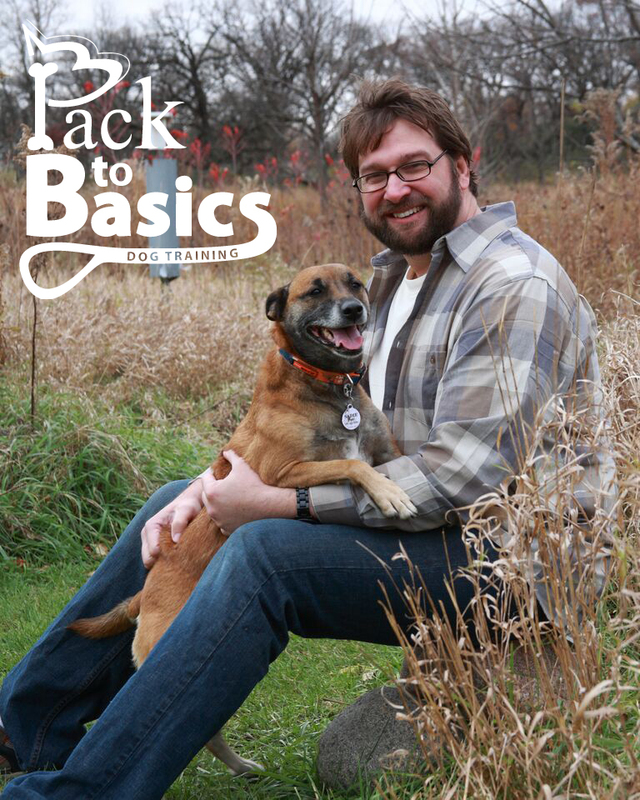 Chad teaches workshops for professional dog trainers and dog owners throughout the United States and Canada on topics of socialization and dogmanship. Chad was the former Director of Education for the International Association of Canine Professionals and served two terms as President. He has also studied and collaborated with some of the most respected names in the dog training industry. Chad has spent the better part of the last 22 years looking for the most fair, humane and effective training methodologies available which consistently produce reliable results in a reasonable amount of time. He has had the good fortune to be mentored by some amazing trainers and have developed lasting learning friendships with many others. From all of these experiences he came to believe that all great trainers share some common threads regardless of their approach or method. Those components are all part of what he considers Dogmanship. Be consistent (but not rigid) – Consistency goes along with clarity, but a good teacher knows when insistence on absolutes will discourage a student. Often, it’s better to genuine effort treat effort as success. Never stop learning – Perfection is goal we can never reach, but the best trainers are always trying anyway. There is a movement in dog training that believes it is almost never advisable to use any kind of compulsion, force or punishment with a dog. He is not in that group. There is another group that sees unwanted behavior as something that needs to be punished away. He is not in that group either. Chad has never wanted a dog doing something primarily because he’s afraid of not doing it. He wants the dog to work from a desire to achieve something cooperative with himself, his owner, or his handler. But that does not mean that there is no room for compulsion. 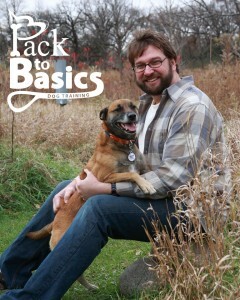 Chad’s approach is to first teach the dog what is expected and build motivation to do what meet those expectations. When the dog has demonstrated understanding, ability and a reasonable level of willingness, he will round the process out by adding minor consequence for the wrong choice. If he accomplishes the first two goals, those consequences can be very subtle and non- threatening. They signify his disappointment and disapproval, not a threat to dog’s well-being. If he finds that he has to give too many corrections, then he knows he has not built the proper foundation and he starts teaching again. Chad uses food, toys, and slip collars or slip leads as his primary training tools, but there are no tools he won’t use when it’s the best choice for the dog in front of him.